Being a simple iOS title, 10000000 can afford to not have a main menu (unlike the epic intro screens of the massively more complicated Magic 2013). While it’s not as fast to get off the ground as the one tap required in Jetpack Joyride, the player isn’t ever subjected to a needless menu to get things started. Especially in the mobile context, letting players get in and out of the game as fast as possible is always appreciated. If I had to pick a proverbial nit here, technically there is one more tap that could be eliminated. As the screenshot on the right shows, your hero starts out taking a nap in the castle. Tapping on the screen once wakes your hero up, and another tap on a room sets him on the move to that location. Why can’t he just hop out of bed and go right to the location? I’m not sure what benefit the extra tap brings, other than delay the player by a tiny amount. Despite the RPG nature of the game, your hero doesn’t have a traditional health bar. The only “life currency” in this game is time, and it’s represented by your hero’s horizontal position on the screen. 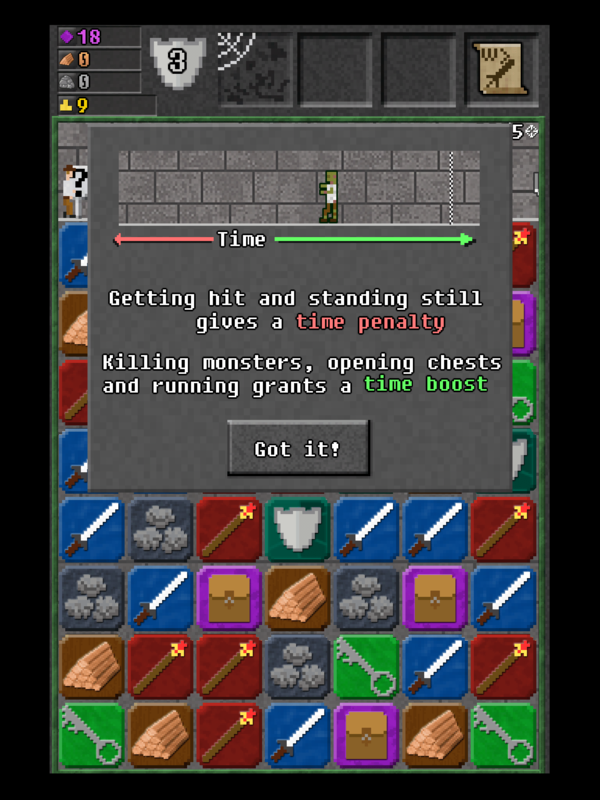 As the screenshot here indicates, time is gained by killing monsters and opening chests, and is lost by standing still. It’s a great system, although it confused me for a while – apparently I missed this tutorial screen the first time through, and I was looking everywhere for some kind of number that represented my health. Thankfully, I was wrong, because this works way better. 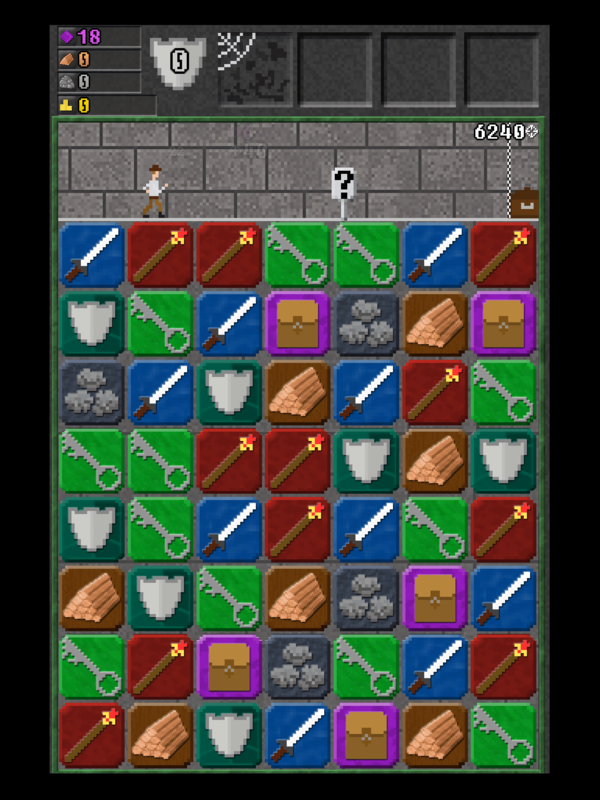 The game is quite hectic, because the player always needs to be concentrating on matching something, and there’s never a good time to look up and see how much health your hero has left. Another nice touch is the border that’s around the screen. When running forward (gaining time) it turns green, and when stopped, it turns red. It’s a subtle queue that helps the player recognize what’s going on in the endless hallway. Another layer of strategy in 10000000 is figuring out what kind of attack to use based on the enemy that your hero is currently slaying. When fighting armored enemies, it’s more effective to use magic attacks, and non-armored enemies will take more damage from physical attacks. This is pretty intuitive, right? Sure it is. I mean, you can make an educated guess…a golem should be made of rock, right, so that probably counts as armored. Ninjas, seems unlikely they would wear armor. Orcs have thick skin I think, but does that count as armor? And what about tree bark? Maybe? Once your hero has conquered a hallway (or technically, died trying I suppose), there are a few options for upgrading your weapons and armor among other things. But not right away…the various rooms must be repaired first before they are of use to you. Without knowing what any of the rooms are before sinking your resources into fixing them, it’s almost like mystery-meat navigation, although this is way more fun. As I repaired each of the rooms, I was genuinely excited to see what was behind each door. 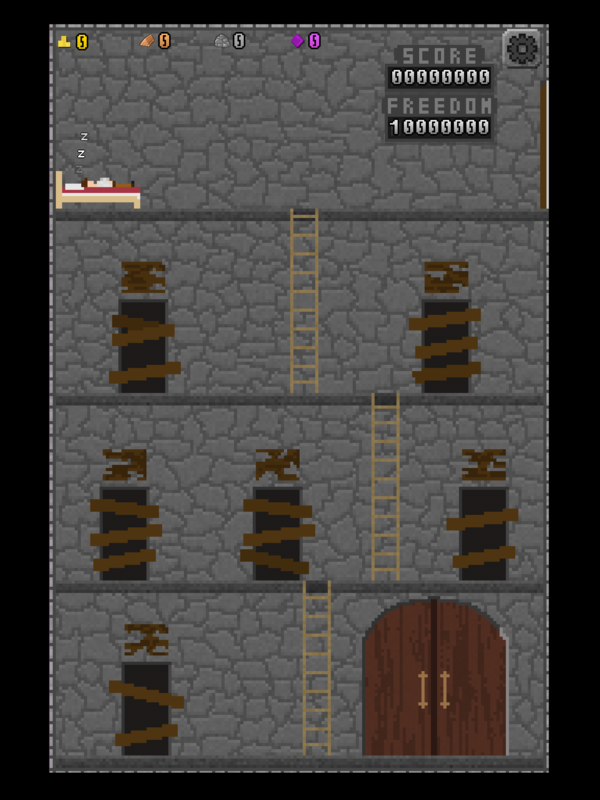 You can unlock all of the rooms relatively quickly, but it was a good example of gradually unlocking features. Anyway, once the rooms are unlocked, upgrading your hero’s gear is a straightforward operation. 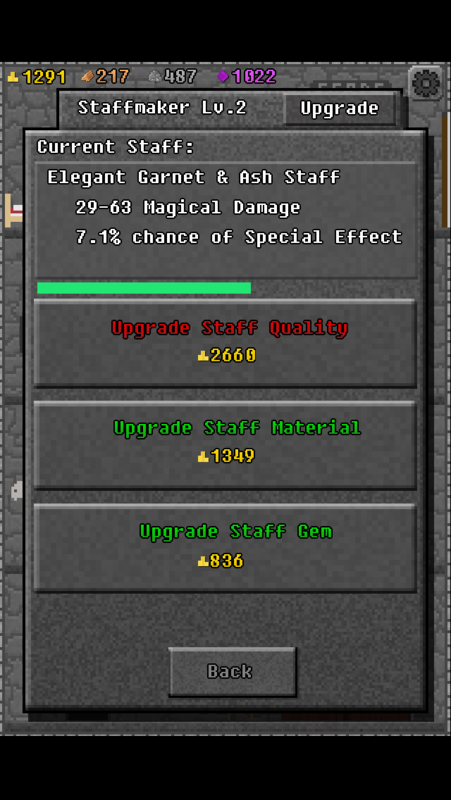 Interestingly though, upgrading an item displays a progress bar for a few seconds. Obviously there’s nothing really to load here, the delay is just for aesthetic reasons. And it works really well – it’s just long enough to feel satisfying when it’s complete, and not too long to make you angry about the wait. See, unlike some earlier discussions on loading screens in Mass Effect 3, they aren’t all bad! 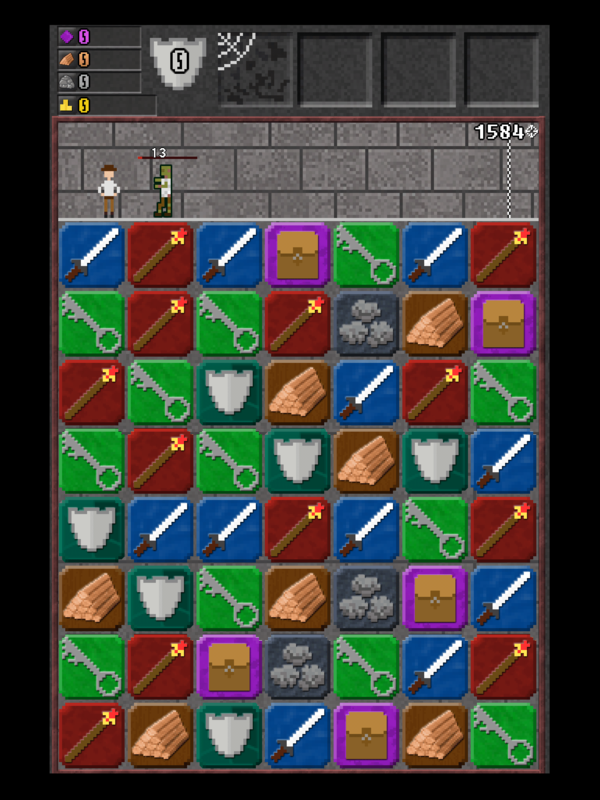 10000000 is a great example of a game that looks simple, but has some complex underpinnings. It’s rewarding in that you can play it for literally just a couple of minutes at a time, and yet still have a meaningful ongoing “campaign” that can last for a long time. There’s a fine line to walk here – keeping the game simple and accessible, and yet not overly hand-holding players to the point where it isn’t fun anymore. Generally, 10000000 does pretty well with this, and while I might appreciate a little bit more information some of the time, the game is still quite addictive and a lot of fun. What do you think of 10000000? Drop me a line in the comments! 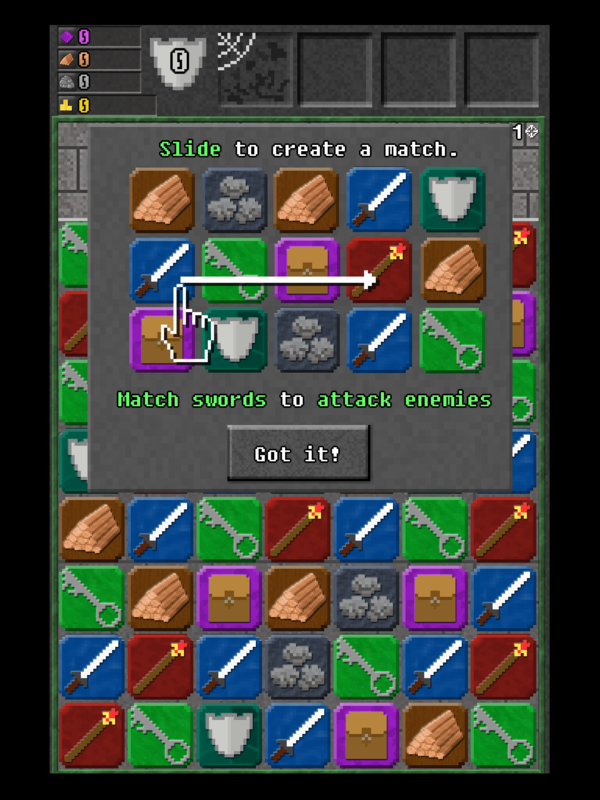 This entry was posted in Casual, Mobile, review and tagged casual games, game design, game usability, ios, iPad, iphone, user experience, ux by mark d. Bookmark the permalink. What’s with the trend of merging classic tile-matching games like Panel de Pon and Bejeweled with completely unrelated genres? 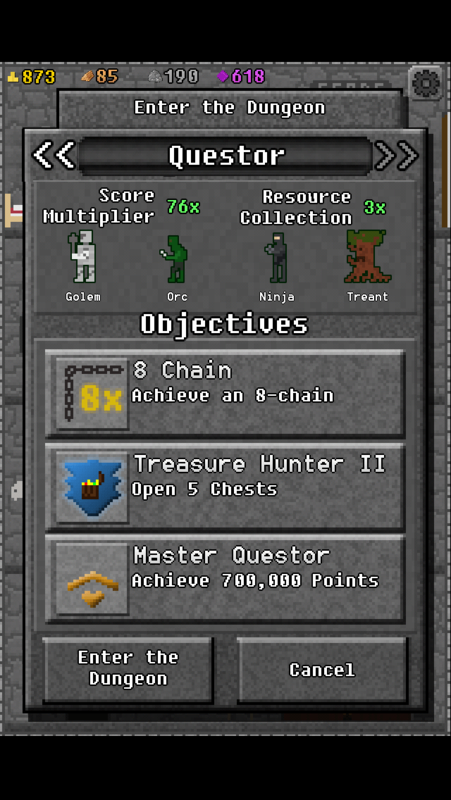 Puzzle Quest, then Henry Hatsworth, and now this. Not very innovative.